The 9,500-year-old skeleton was found in 1996 along the banks of the Columbia River in Kennewick, Wash., and it's been called the most important ancient human skeleton ever unearthed in North America. But as to Kennewick Man's ethnicity and origins, researchers haven't been able to agree. Some scientists argued that he was likely related to indigenous Japanese or Polynesian peoples, others said that he had Caucasian features. Still other scientists were convinced that he was probably an ancestor of modern-day Native Americans -- and a new DNA study suggests that, indeed, they're right. "Using ancient DNA, we were able to show that Kennewick Man is more closely related to Native Americans than any other population," Dr. Morten Rasmussen, a researcher at the University of Copenhagen in Denmark and an author of the study, said in a written statement. For the study, the researchers analyzed DNA taken from Kennewick Man's bones. Then they compared the DNA sequences to those of modern-day Native Americans. There was not enough information to assign Kennewick Man to a particular Native American tribe, but the researchers discovered that Kennewick Man was closely related to members of the Confederated Tribes of the Colville Reservation in Washington. "Advances in DNA sequencing technology have given us important new tools for studying the great human diasporas and the history of indigenous populations," Dr. Carlos Bustamante, professor of genetics at Stanford University and an author of the study, said in the statement. "Now we are seeing its adoption in new areas, including forensics and archeology. 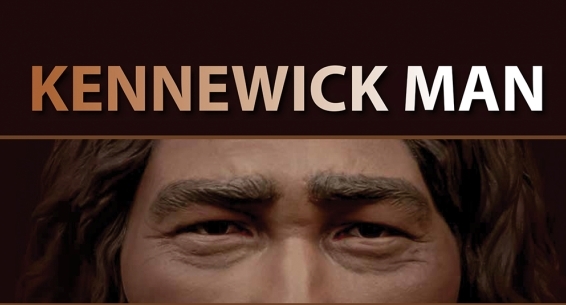 The case of Kennewick Man is particularly interesting given the debates surrounding the origins of Native American populations." The new findings not only shed light on Kennewick Man's ancestral history but also may reignite a long-standing legal dispute regarding the skeleton's fate, according to the researchers. In 2004, five Native American tribes in the Pacific Northwest requested repatriation of Kennewick Man's remains so that they could be reburied as the sacred remains of an ancestor. But the proceedings were halted as scientists won a court case to conduct further research on the skeleton. "Due to the massive controversy surrounding the origins of this sample, the ability to address this will be of interest to both scientists and tribal members," Bustamante said in the statement. The study was published online in the journal Nature on June 17, 2015. Responses to "DNA Proves 9,500-year-old Kennewick Man, The Ancient One, Is Native American"